After a long silence, I’ve decided it’s time to get my thoughts out. While it seems my blog is “all over the place” the focus is on my many passions: food, fashion, fitness, technology, gadgets, marketing…and of course makeup. You’ll see some stories about my adventures on the weekends, posts about the conferences I’ve been to, recipes my boyfriend and I attempt, the places we eat and our desire to get to a healthier lifestyle. 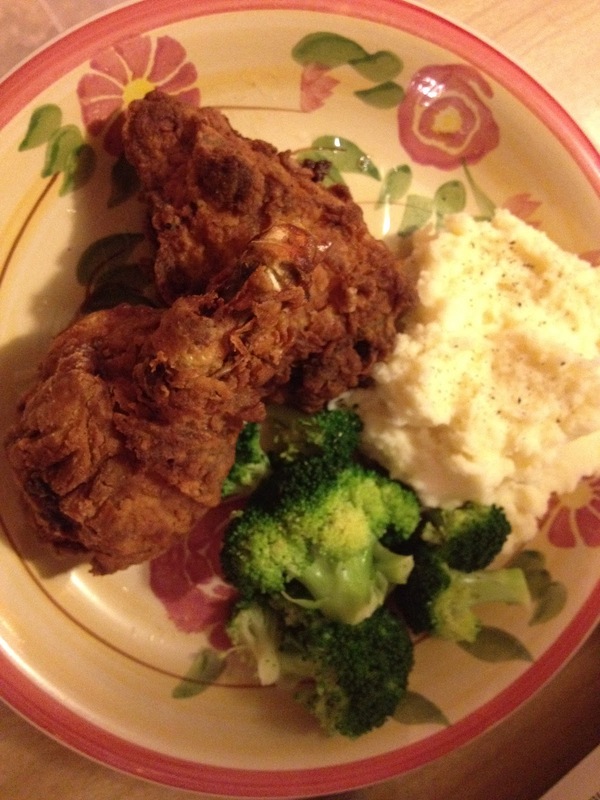 The recipe below is not adapted to be a healthier version of fried chicken, it’s fried chicken made to be as yummy as we could make it. 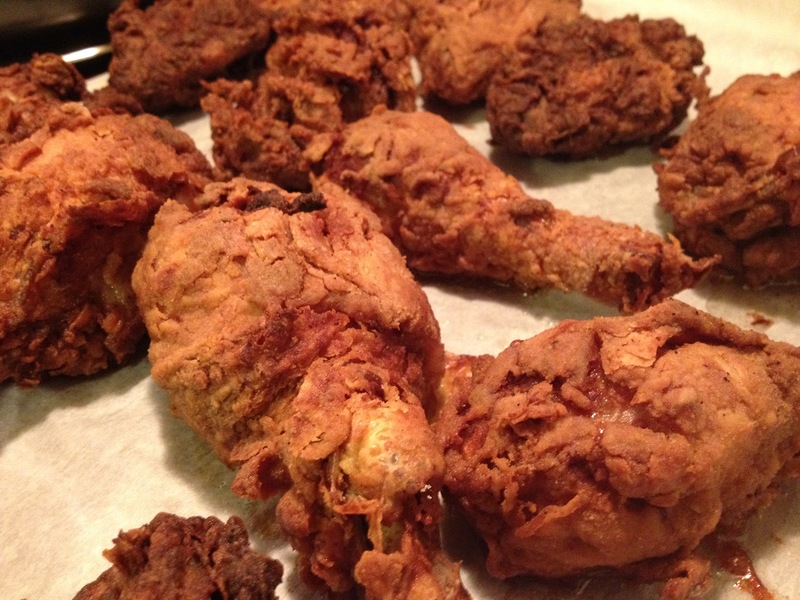 Over the long weekend, my boyfriend was craving fried chicken from the Ad Hoc restaurant in Yountville, California. Instead of making the long drive and spending a ton of money, we looked for a recipe and found one from Food and Wine, then adapted it. 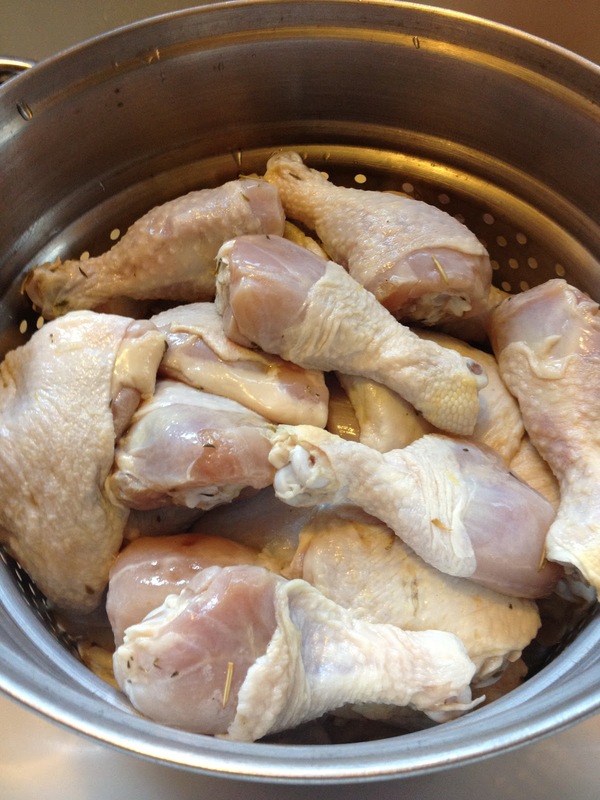 We bought 8 lbs of thighs and drumsticks, then doubled the brine recipe since we had more chicken than the original. The original proportions for the brine recipe is below, you can adjust it based on the amount of chicken you are frying. 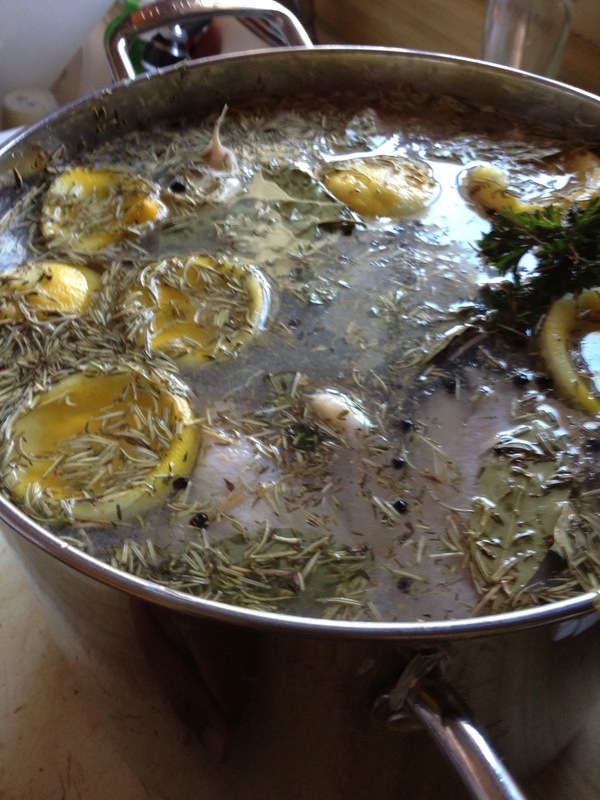 For extra yumminess, you should let the chicken sit in the brine at least 8 – 12 hours, overnight if possible. 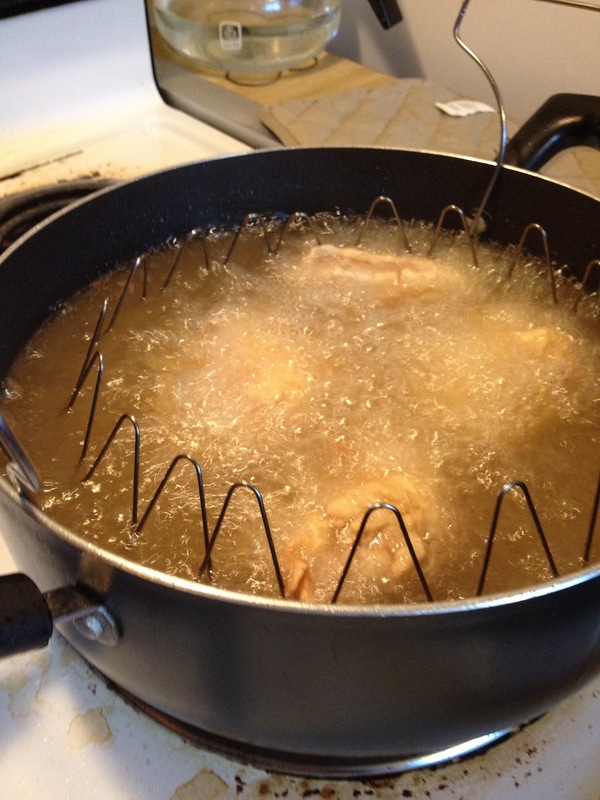 For the record, when I say “we” I mean, my boyfriend made the brine, then battered the chicken and his sister fried the chicken. All I did was zest the lemon and squeeze it into the pot and we call this teamwork. Love him! 🙂 While I’m far from being a domestic goddess, I did make red velvet cupcakes for dessert (pictures and recipe to come). I’m also great at taking food photos and documenting every step of the recipe, see below. For more food pics, you can follow me on Foodspotting. After dinner, we decided it was a good first attempt. The skin was crispy and both the skin and meat was flavorful. We also put it in the oven for about 10 – 15 minutes to make sure the inside of the chicken was cooked without burning the skin. I brought it to work and one of my friends LOVED it! My next mission is to find another recipe so we can perfect this at home. If you make this recipe, let me know how it came out and if you made any modifications in the comments. Enjoy! 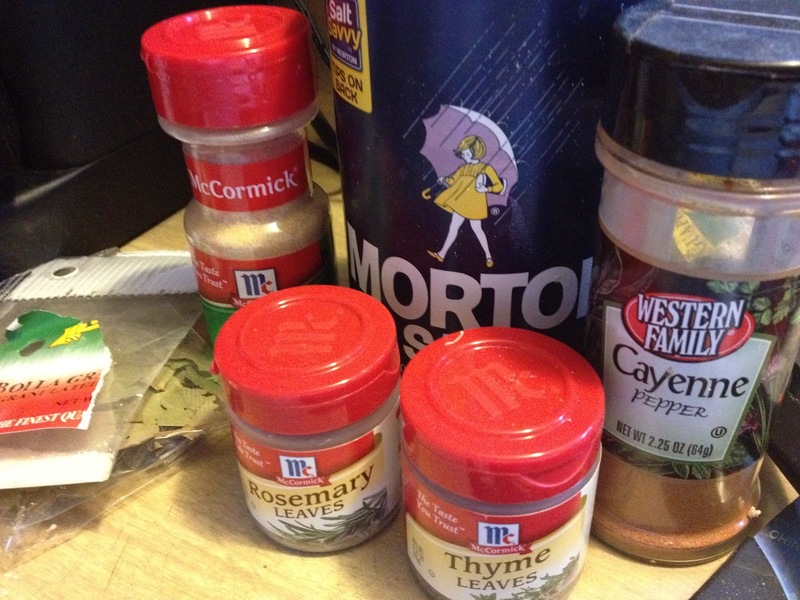 Started this post by copying the Food and Wine recipe into Evernote on the iPhone. Then added checkboxes to the note so when we make the recipe again, so it will be easy for me to check off what we have and what is on our shopping list. I continued to add pictures from within the note on the iPhone. Finally, I made edits on my PC and finished the post from my Mac. Cheryl’s note Ad Hoc Fried Chicken Recipe feel free to copy this into your own Evernote notebooks. In a very large pot, combine 1 quart of the water with 1 cup of the salt and the honey, bay leaves, garlic, peppercorns, rosemary, thyme and parsley. Add the lemon zest and juice and the lemon halves and bring to a simmer over moderate heat, stirring until the salt is dissolved. 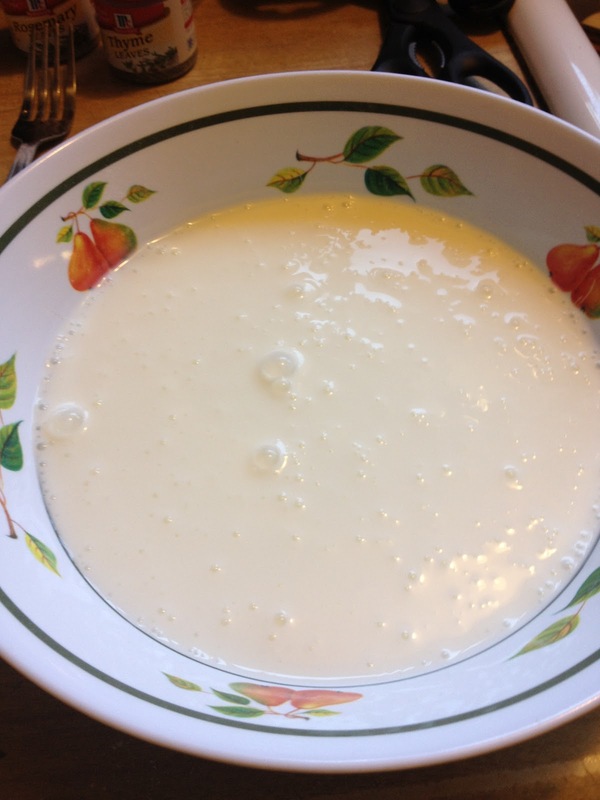 Let cool completely, then stir in the remaining 3 quarts of cold water. Add the chickens, being sure they’re completely submerged, and refrigerate overnight. Drain the chicken and pat dry. Scrape off any herbs or peppercorns stuck to the skin and cut each bird into 8 pieces, keeping the breast meat on the bone. Since we bought thighs an drumsticks, we didn’t have to chop the bird into pieces.